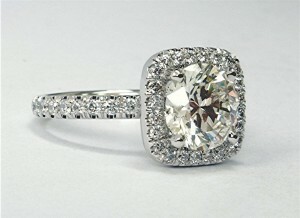 Center diamond is 1.01 carat “I” color “VS2” clarity trillion cut. 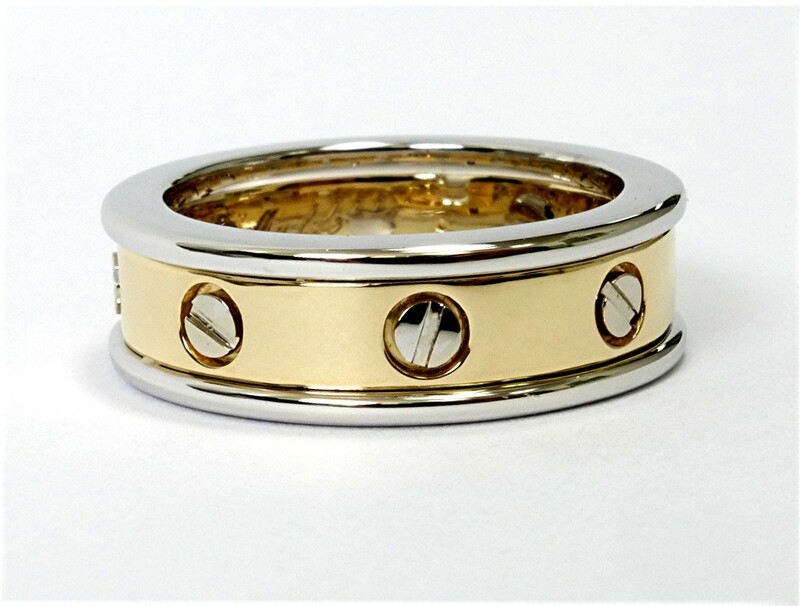 Mounting made of 14k bark design. 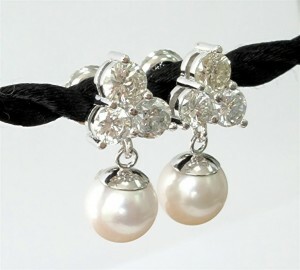 Here is new pearl jewelry made from seven rounds and one princess cut diamonds recycled form old jewelry. 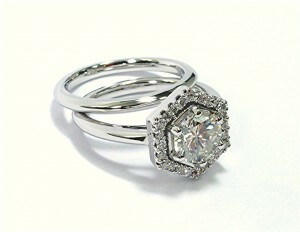 Diamonds are various size and quality. 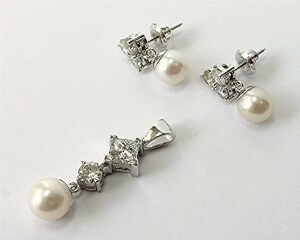 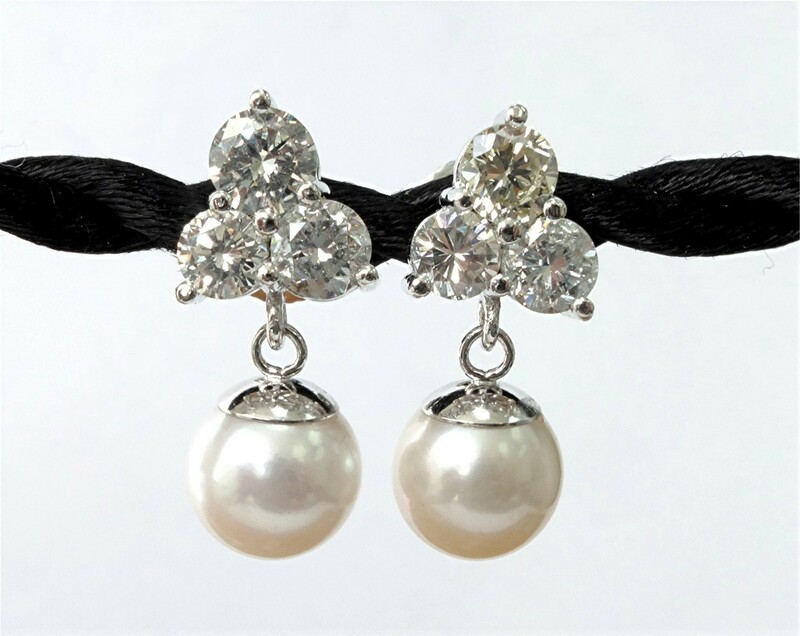 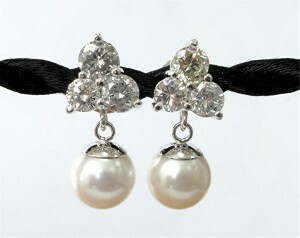 Cultured pearls are 8mm for earring and 9mm for pendant and 14k white gold. 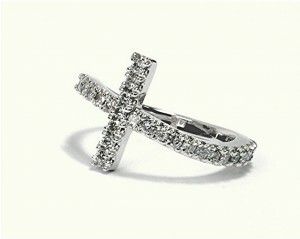 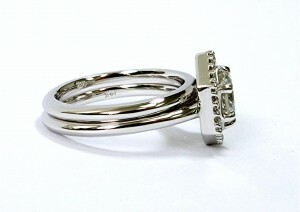 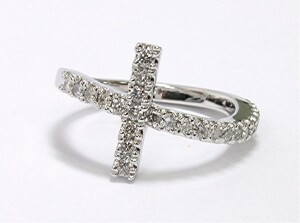 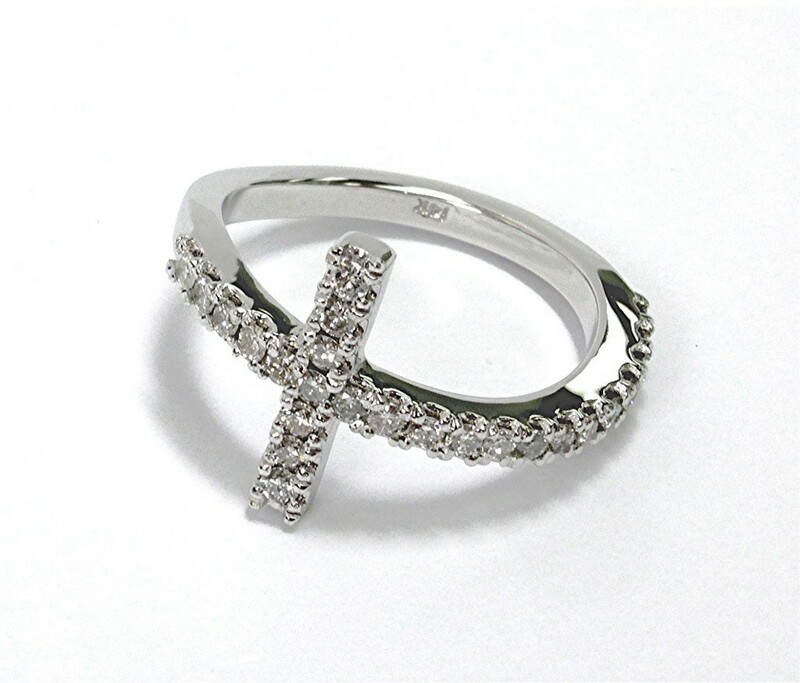 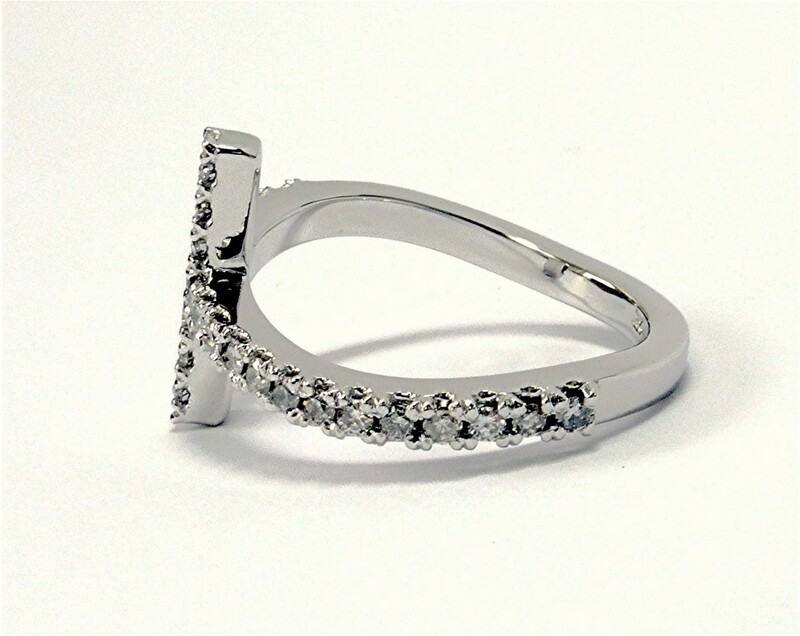 Below set is made of 14k white gold. 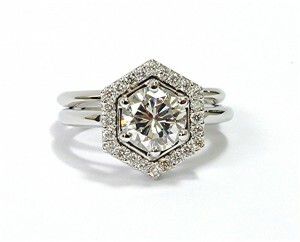 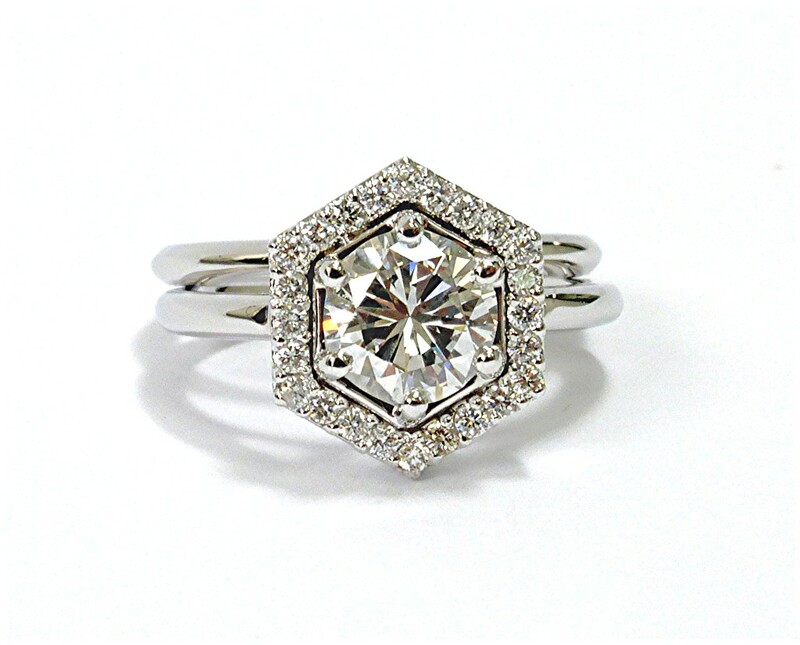 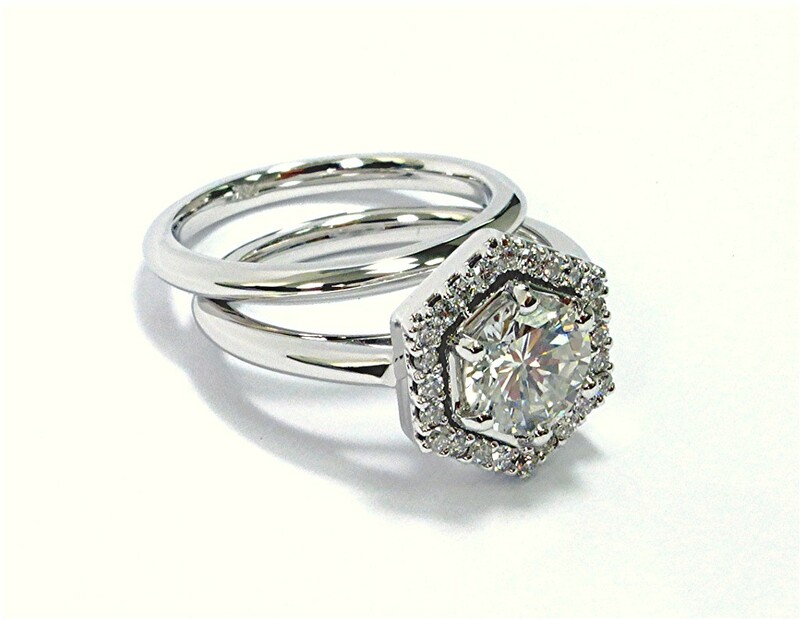 It has hexagon shaped halo containing 24 round brilliant cut set whit sheared prongs. 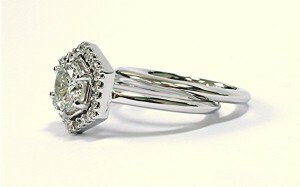 Center diamond is 1.08 carat “H” color, “SI2” clarity, set with six prongs. 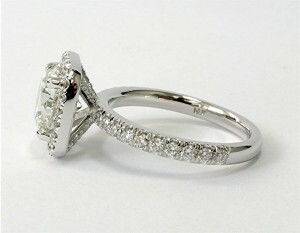 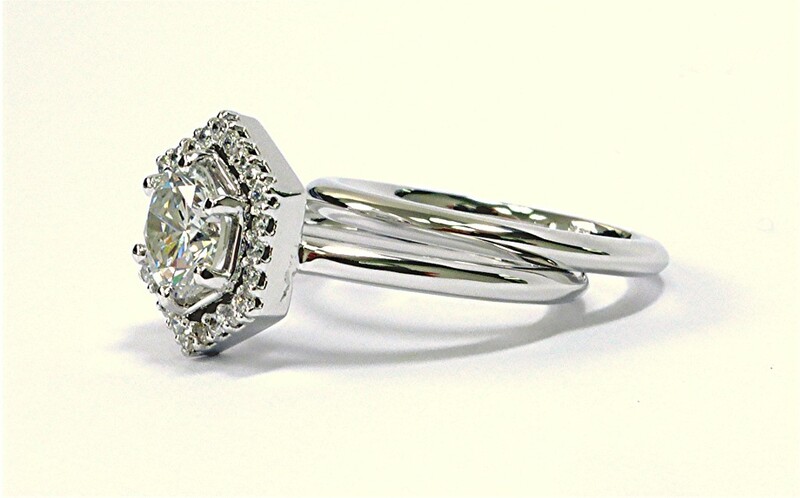 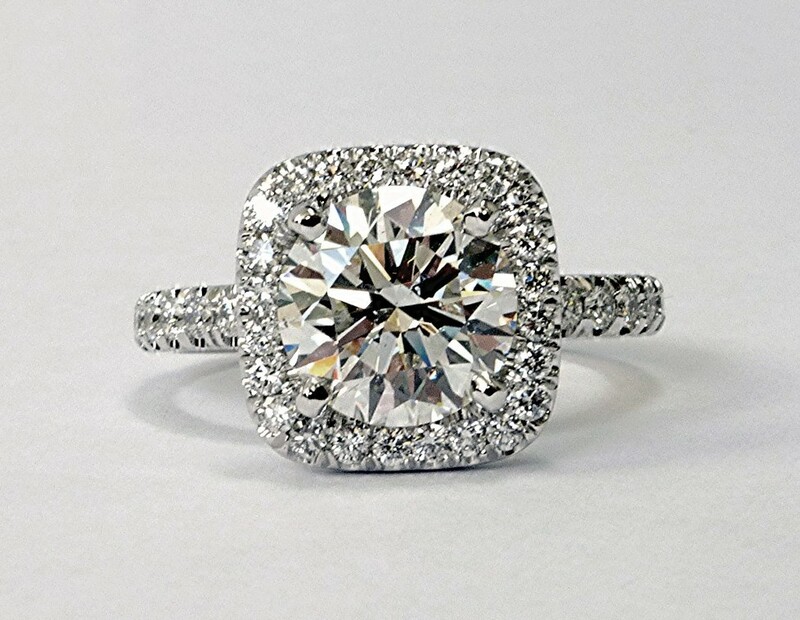 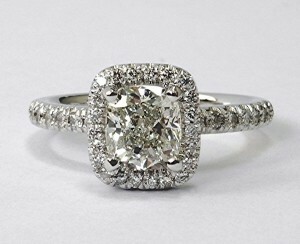 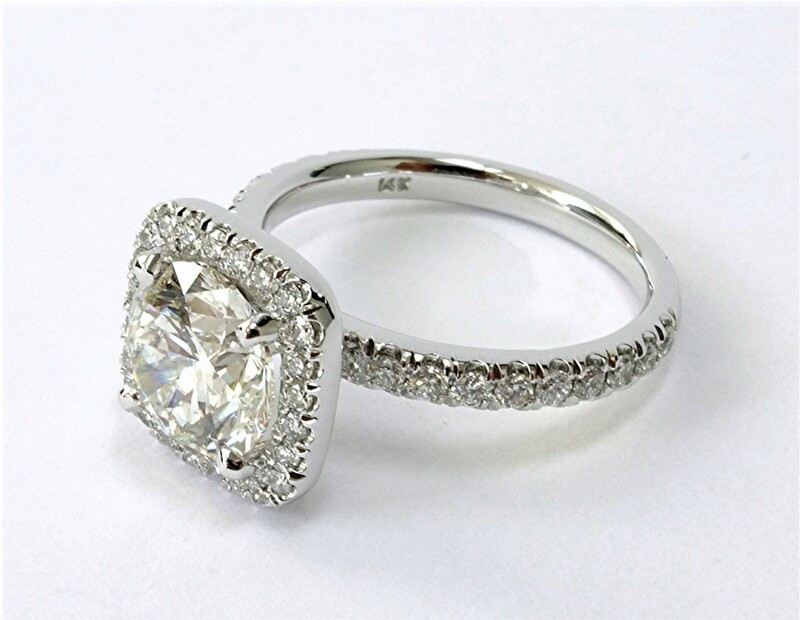 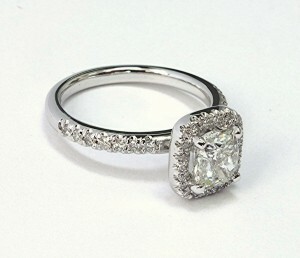 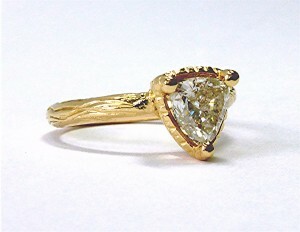 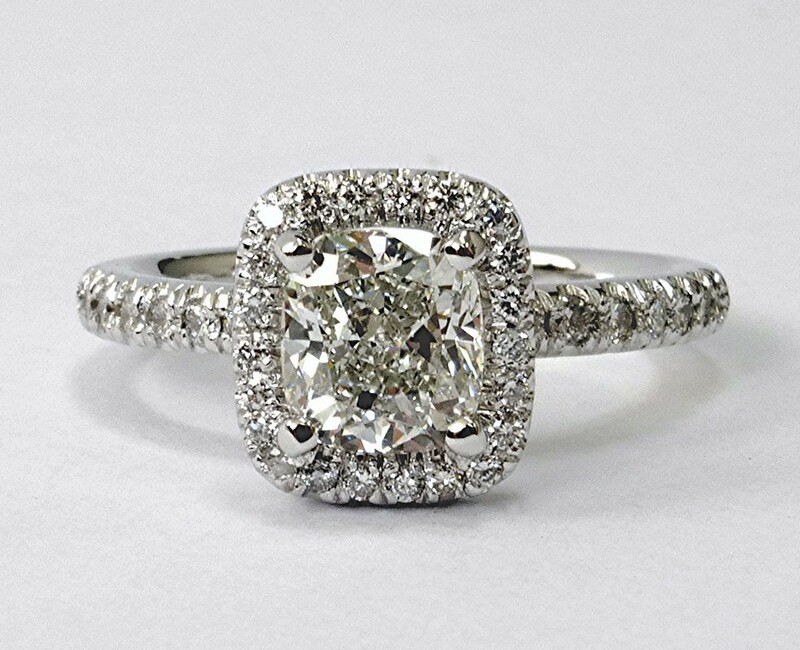 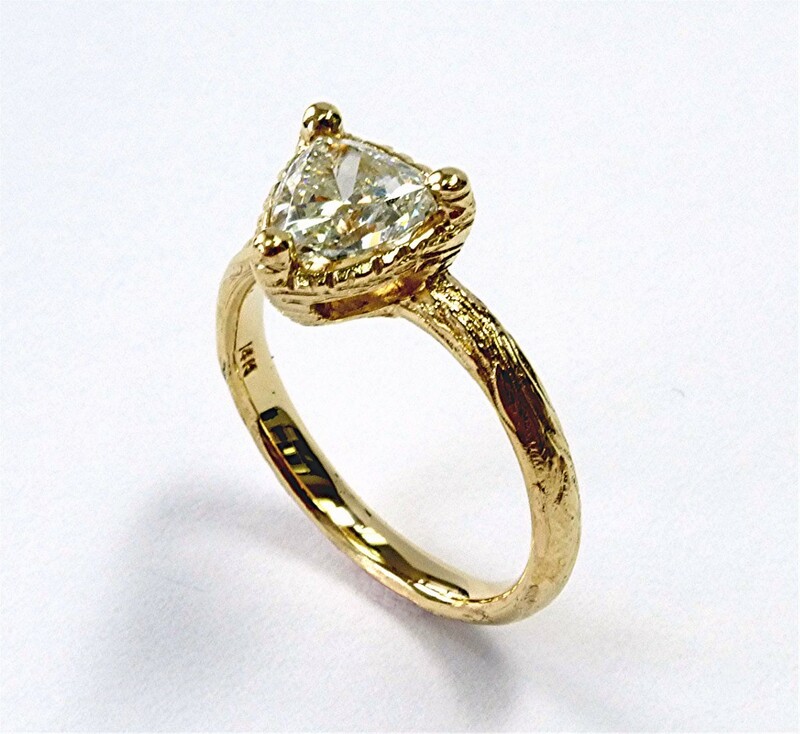 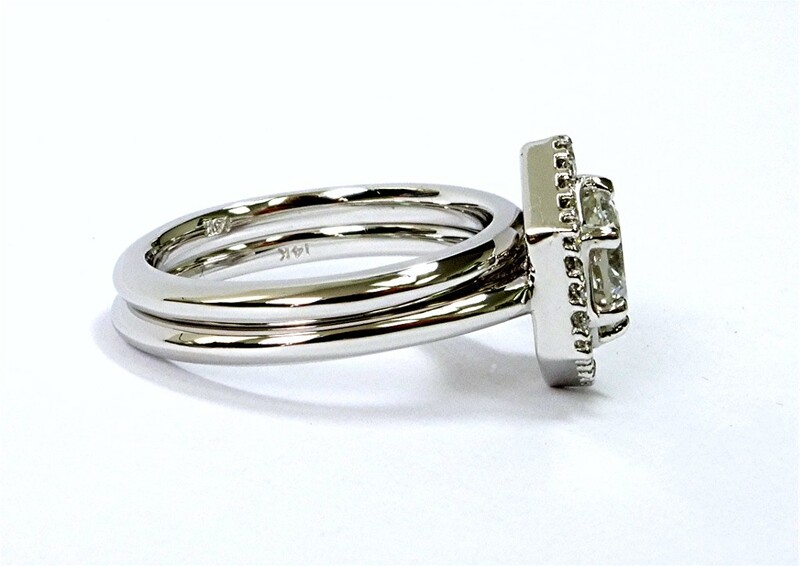 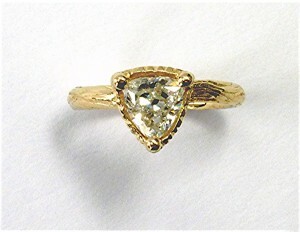 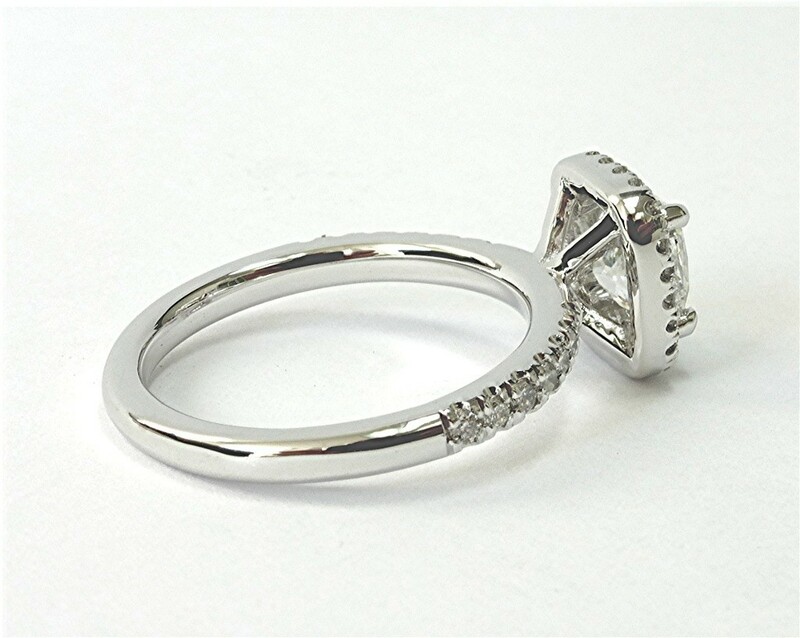 Matching band shaped half dome similar to engagement ring shank. 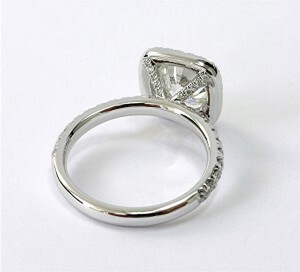 The twenty five stone represent the twenty fifth anniversary of wedding, Made of 14k white gold with total of half carat diamond four prongs set. 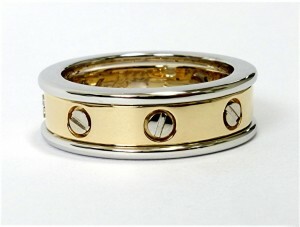 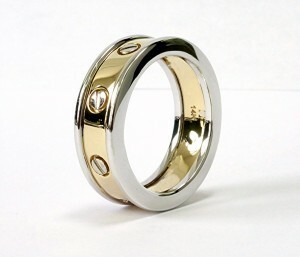 Below is a 14k white and yellow gold,7mm wide band. Below are pictures of a ring made of 14k white gold. 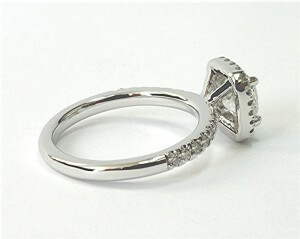 There is 36 small round brilliant cut diamonds set, four prong micro U set, weighing 0.29carat. 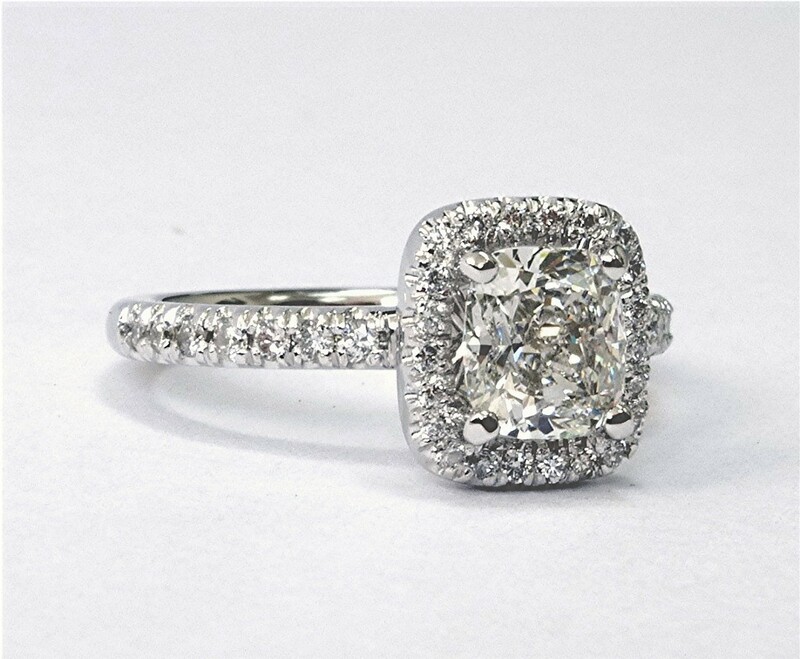 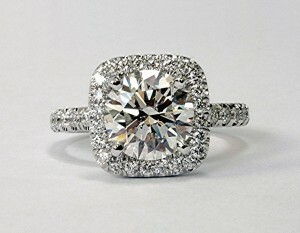 Center diamond is 1.01carat cushion cut diamond, Measuring 5.99 x 5.5 x 3.98mm.